Maldives is a unique country in many ways. It is not a single island, but a collection of atolls or a series of coral reefs. It is also the world’s flattest country, which means no mountains! The Indian Ocean around Maldives has many a treasure under its brilliant blue waters. May not be the treasure-chest variety, but definitely something exciting to explore with Pickyourtrail – especially with the exciting Maldives packages on-board! 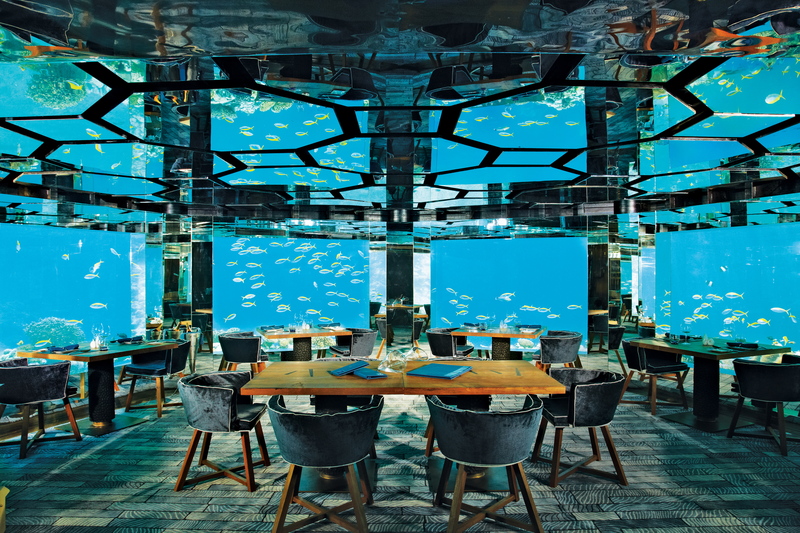 At five meters below sea level, the Ithaa Undersea Restaurant at the Conrad Maldives Rangali Island is the world’s first undersea restaurant. Ithaa offers a 270-degree panoramic view of the waters around, making it the most stunning meal you could ever have! The restaurant’s unique aquarium like tunnel was designed by the Kuala Lumpur National Science Center. The restaurant serves contemporary Maldivian and Western cuisine. Ithaa restaurant seats only 14, so make sure you book in advance! 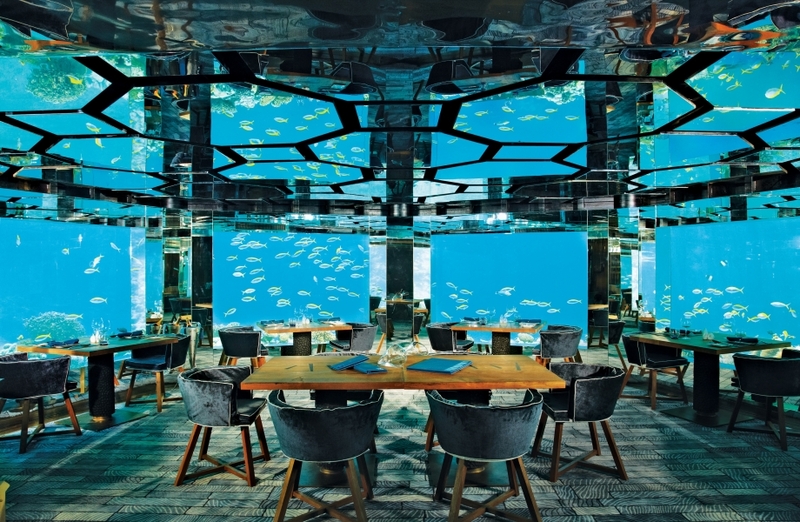 The Anantara Kihavah Villas at Maldives has another undersea adventure for visitors to the resort. 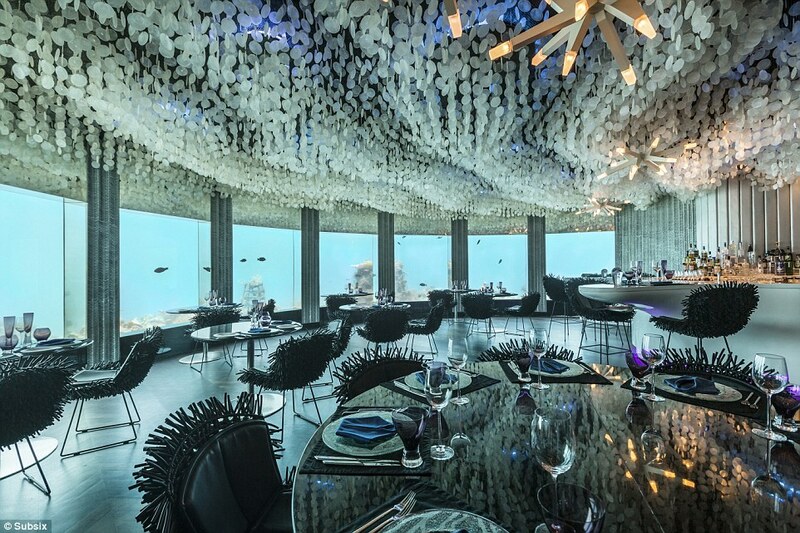 It’s restaurant – Sea – boasts of the first underwater wine cellar. While you watch the Indian Ocean come alive, you will be served an international gourmet menu with a choice of wine from the underwater cellar. Care for a dance under water? Located near the Niyama Resort, Maldives is Subsix – the world’s first underwater nightclubs. Entering Subsix is almost like an underwater movie set – glitzy shades of blue dazzle you, coral chandeliers and shells hanging from the ceiling. Located six meters under the sea, Subsix is more than just a nightclub, it is a restaurant and a much favoured wedding location too. You can even have a tour with a marine biologist before you get down to your meal. 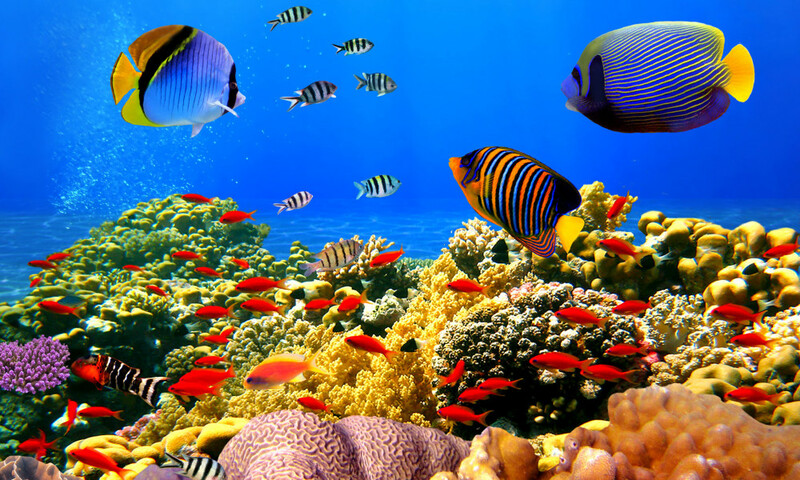 Watching fishes swim around is said to be a relaxing experience. Even better if you can gaze at them when your feet are cocooned in comfort and massaged with aromatic oils. 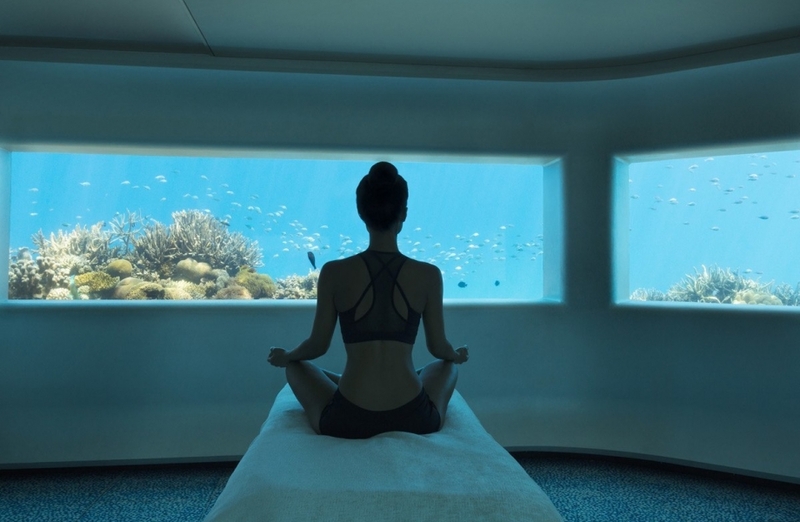 If this looks good, head to the LIME spa, the world’s first underwater spa at the Huvafen Fushi luxury resort in Maldives. The spa’s underwater structure is made from special material that can sit on the ocean floor creating minimal disturbance to the ecosystem. Shake fins with the whale sharks! 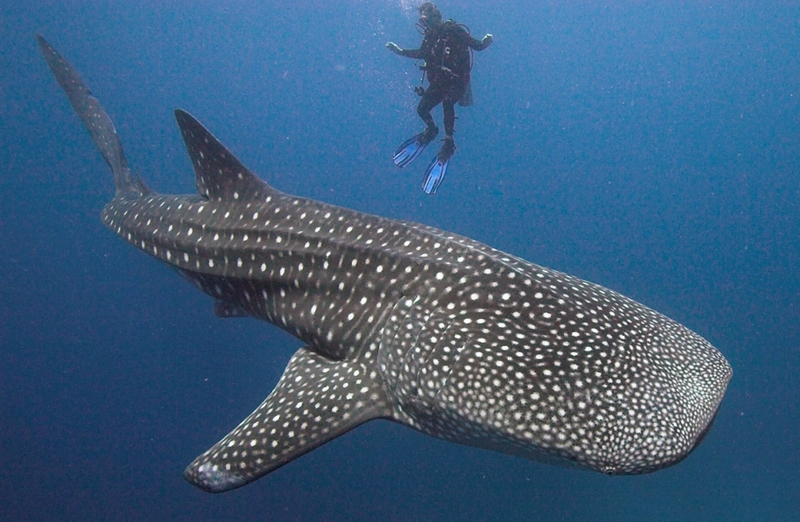 The whale shark is the biggest species of fishes known to man, fairly harmless to humans as they feed on plankton. 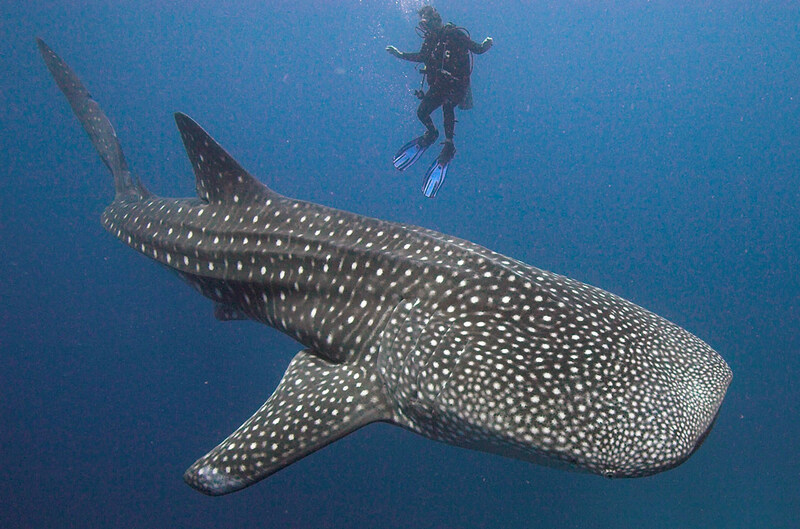 Maldives is one of the few places in the world where you get to swim with these gentle giants. When these giants move on, you can ogle at dolphins, turtles and manta rays, not to mention the fascinating play of colours on the coral reefs. All these amazing accommodations got your attention? Tick them off your bucket-list with Pickyourtrail!